One of the great things about living in Florida is the mild winters. Having said that, just because lawn growth slows down during the winter months doesn’t mean you should ignore it. If you want your lawn to stay beautiful until Spring there are some steps you should take. Because of the slow growth rate during the winter, you may decide not to cut it as often. You still should keep an eye on it, and determine the best maintenance schedule. If you allow it to grow too long then it will shade the grass and sunlight won’t be able to penetrate deep enough. To get a better cut you should lower your mower deck. 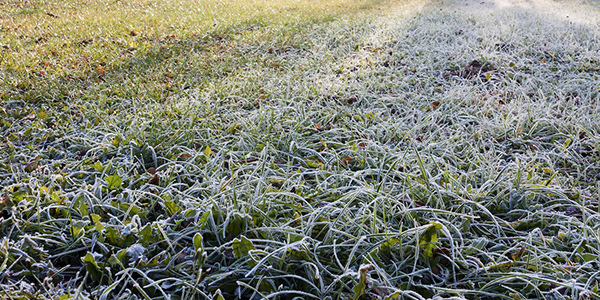 You don’t want to scalp your lawn just to cut it a litter shorter during the winter months. Foot traffic can cause your soil to become compacted. To loosen it up you should consider aeration. Aeration promotes a stronger root system that is needed during winter months by allowing water and air to penetrate deeper into the soil. Aeration tools are available for rent, or if you don’t want to hassle with it you can hire the team at Assure Green to come out and take care of it for you. An essential part of keeping your lawn green and lush year round is fertilizer. Fertilizer is like a multi-vitamin for your lawn. You should fertilizer regularly to keep your lawn healthy. If you haven’t fertilized in awhile you should consider laying down fertilizer before it gets too cold. Much like aeration, fertilization helps build strong roots. It also increases nitrogen storage in your lawn which helps it to survive the cold and thrive come spring time. Overseeding is when you disperse a temporary layer of grass seed into your lawn to help keep it green and lush during the winter months. In the Tampa area we have grasses best suited to warm climates, because of this there can be issues dealing with cooler temperatures. Overseeding with a grass type that thrives in the cooler temperatures will benefit your existing lawn. If you’re not sure of what type of grass your lawn has, consult with your Tampa lawn care professional at Assure Green and we can help identify your needs. In need of lawn care in the Tampa Bay area? 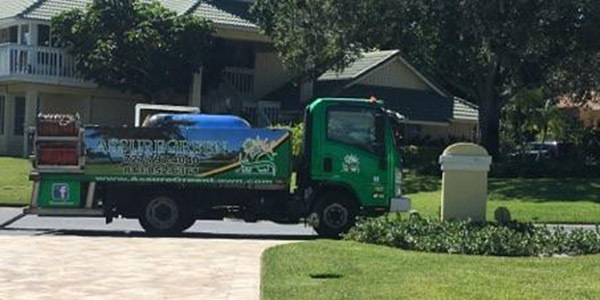 For all your lawn care needs give Assure Green a call today at (727) 797-4040 for a free consultation.